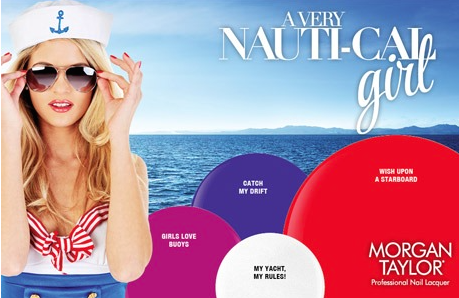 A Very Nauti-Cal Girl is the latest collection from the brand. The four-shade strong collection is everything a girl could need to deck out her nails in maritime hues this spring. Catch My Drift is a rich cobalt. Girls Love Buoys is a deep fuchsia. My Yacht, My Rules is a stark white. Wish Upon A Starboard is a bright, true red. You’ll find the collection in salons and store now, but as it’s a limited edition, it won’t be available for long.